I love seeing cars that aren't typically heavily modified. It adds a great bit of automotive diversity into a world of car customization that can be seem to be brimming with cars that can begin to look alike. And no matter what the vehicle, you can rest assured that someone is going to take that car and raise the bar. 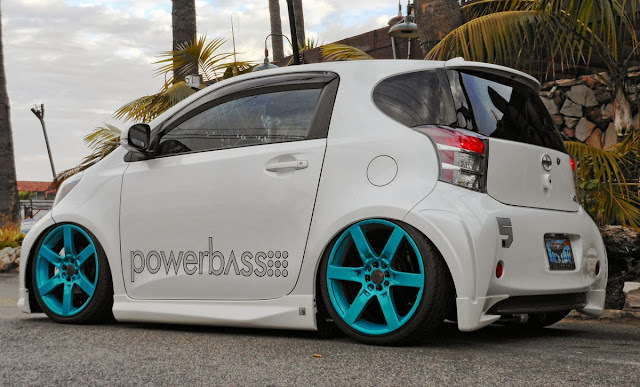 Mark's Scion iQ is a perfect example. There aren't a ton of modified iQs rolling around, and that adds to the cool factor. Plus, this iQ looks just right. Not too much, not too little. When the iQ debuted, Scion displayed a number of tricked-out variants at the 2011 SEMA Show. I got to see these cars in person and realized the iQ had the potential to be turned into something pretty cool. Months later while browsing ScionLife.com, I saw this iQ project. From early on you could see that he wasn't just going to throw on a set of lowering springs, custom wheels, and a new stereo at this car. This was going to be an epic iQ. 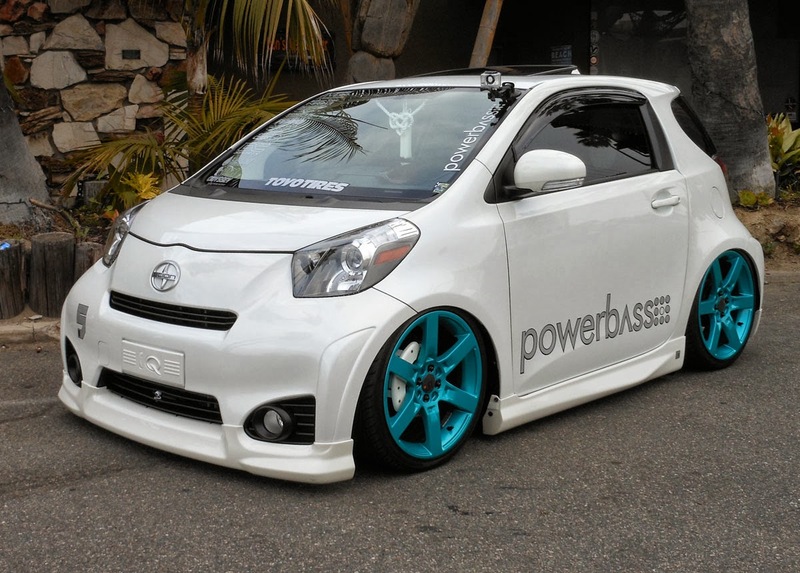 Mark started out with a 2012 iQ in Blizzard Pearl white, which he purchased in 2011. It didn't remain stock for very long, as was evidenced on ScionLife.com. For starters, Mark added a FIVE:AD four-piece aero kit with wing, a Beat-Sonic shark fin antenna, and LED side mirrors. To get that just-right stance, Mark opted to go with an Air Runner Low Down system with a three gallon tank and a Viar 380C compressor. 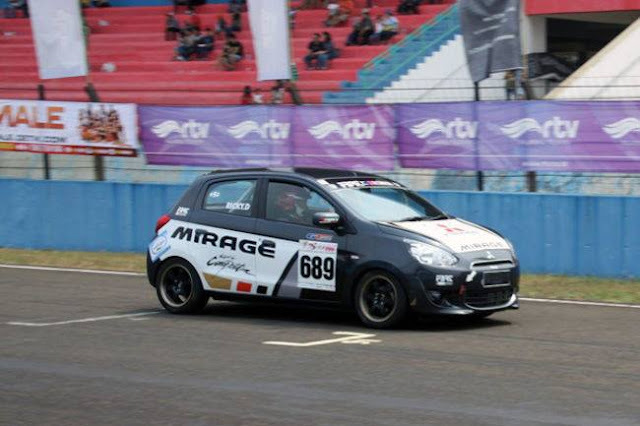 To help in the cornering department, he threw on the TRD rear sway bar, and Tanabe Sustec frame and strut tower braces. 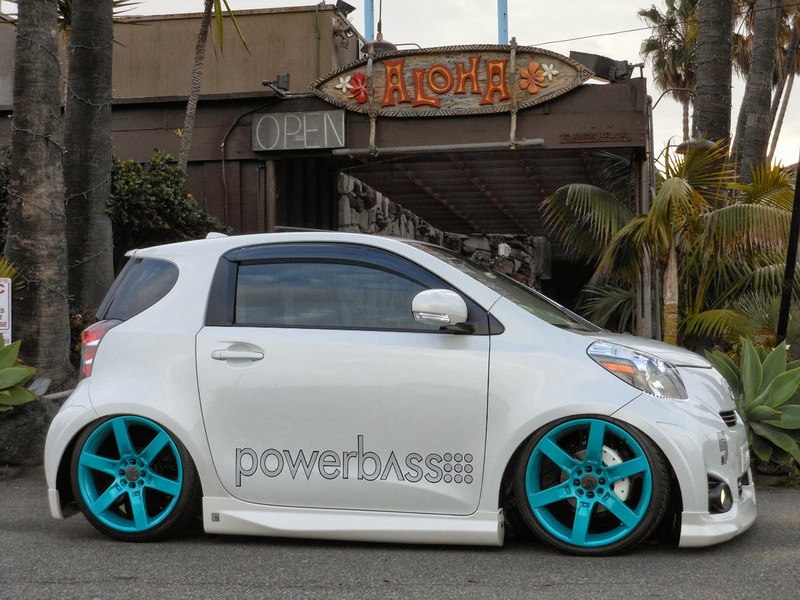 The iQ rides on 18x7.5 FIVE:AD R6:F wheels that he powdercoated Candy Sparkle Teal. They're wrapped in 215/35/18 Falken tires and bolted on with Muteki lugs. He also added custom caliper covers from MGP. Further enhancing the exterior, the car has O-Nex 6K HID lights and 3K HID fogs, LED back up lights, and side mirrors with LED turn signals. Under the hood, the little 1.3-liter mill breathes through a DC Sports intake, is fired up by an Odyssey battery, and has an NRG Innovations ground wire kit, battery stabilizer, and radiator cap. 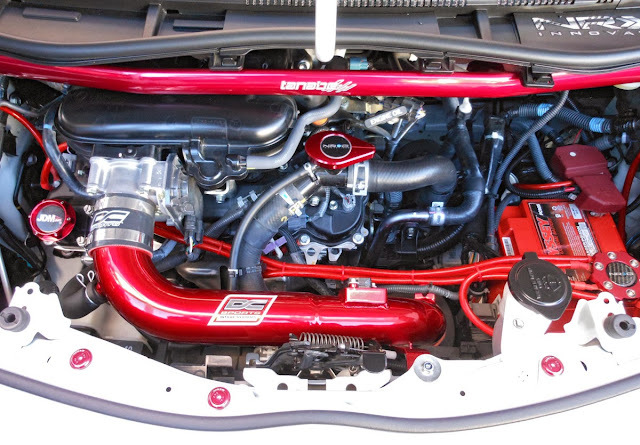 This is probably one of the prettiest iQ engine bays you'll see. In the audio department, the little iQ has a big sound system. 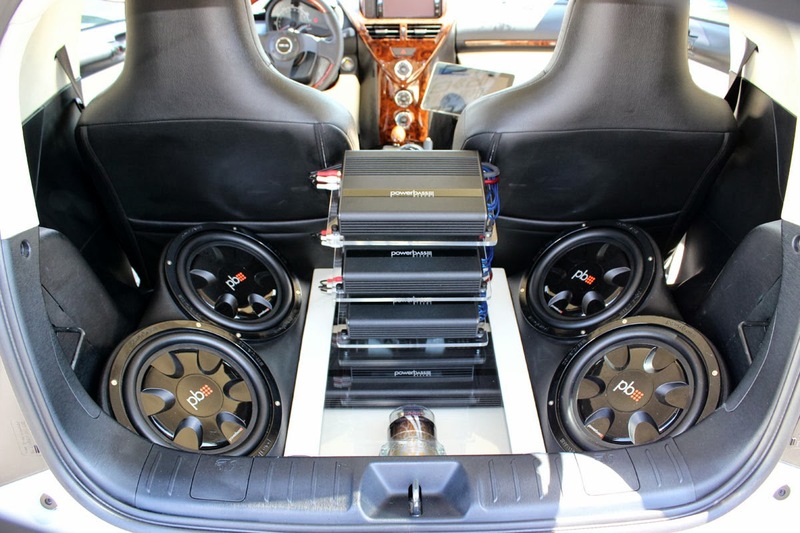 The car maintains the Scion 200 nav unit but now has subwoofers, mid-range, full-range, tweeters, and amps by PowerBass USA. Additionally, there's an X-Q'uzit Designs audio enclosures. 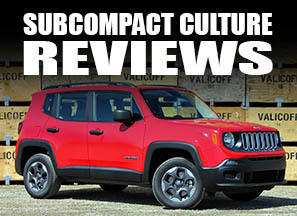 To top it off the little iQ has been tinted, and showcases Pecca leather seats and accents, a Classic Soft Trim/Signature Sunroofs OEM-style sunroof, custom dipped dashboard/trim, an NRG Innovations quick-release wheels, and carbon-fiber pedals. It almost goes without saying, but this is one amazing iQ. Even the license plate—"Lowest iQ"—is awesome. When in full down mode, this think looks angry, and that's a good thing. Mark's customization really comes together well and turns this iQ into one mean micro. You can check out Mark's build thread on Scion Life and see the progression of Mark's sweet iQ.